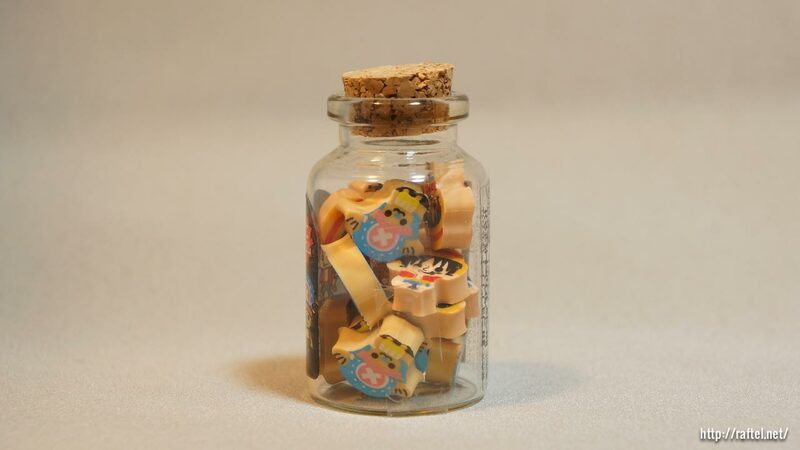 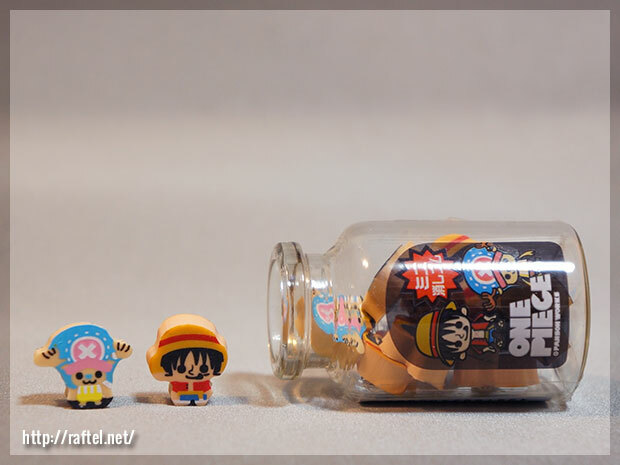 A small jar filled with cute little Luffy and Choppers. 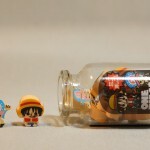 I wonder if this is KeshiKeshi (Gomu) no Mi? 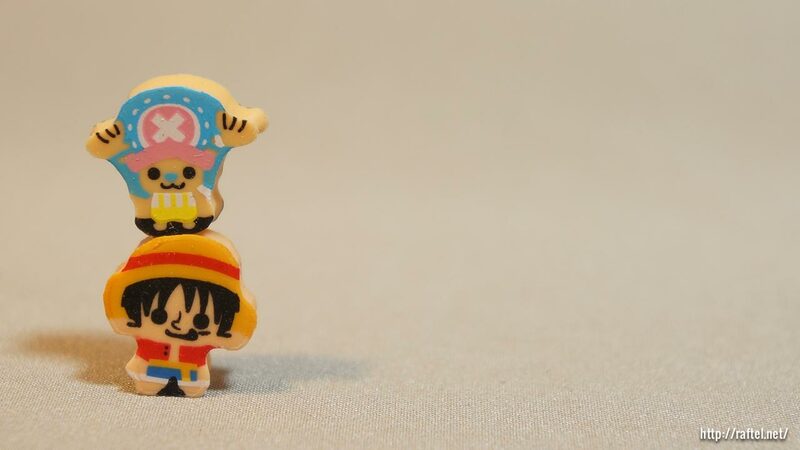 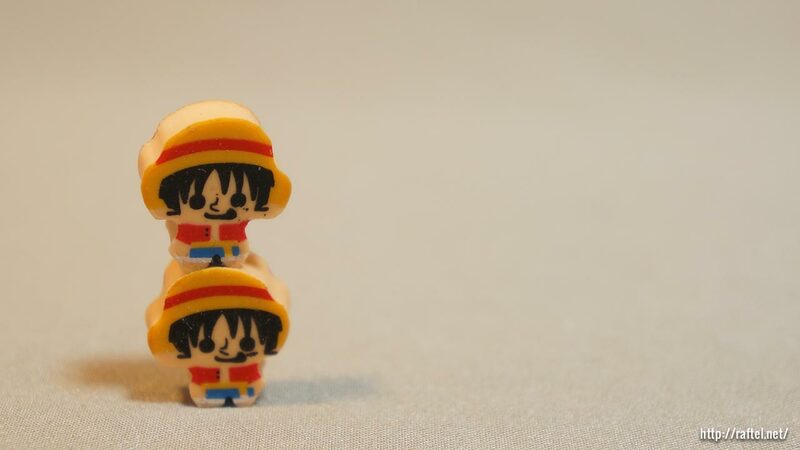 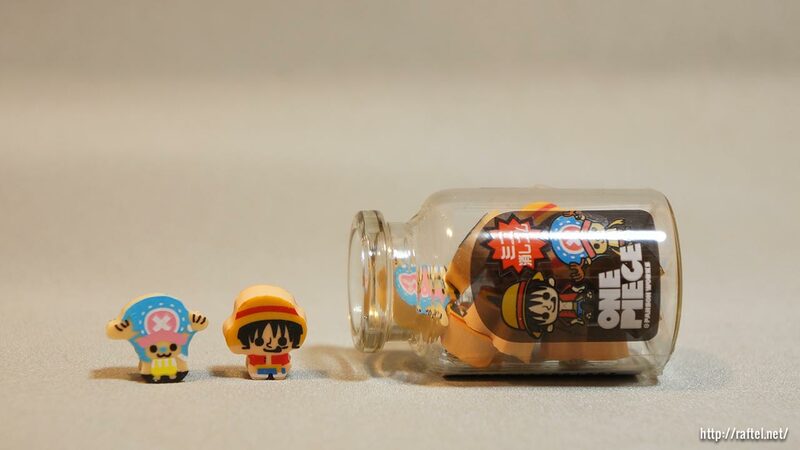 Remove the mini Luffy and Choppers from the bottle and line them up! 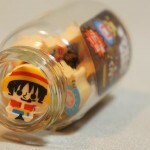 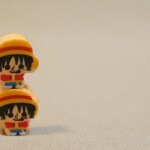 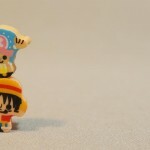 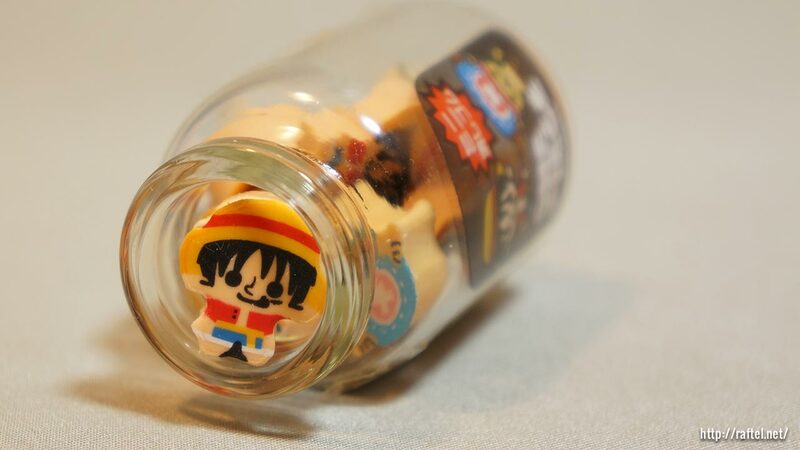 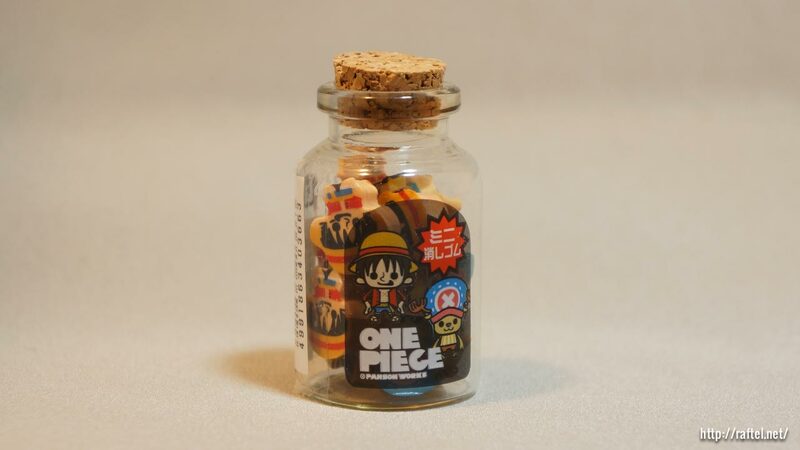 There are 7 mini Luffy and 7 mini Choppers in the cute little bottle. 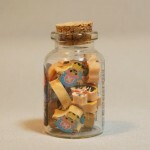 It will be a waste to use them!!! 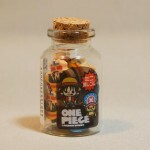 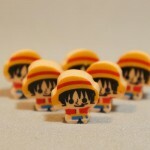 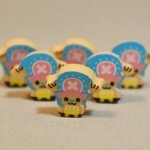 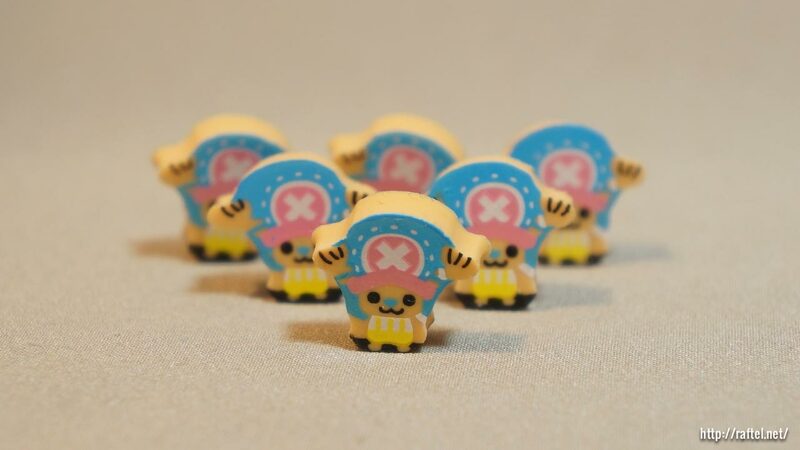 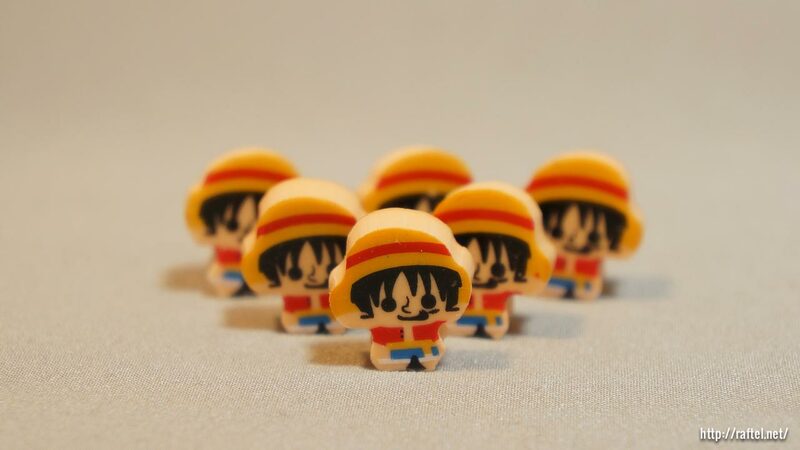 Looking for One Piece erasers?